Pompeii is the stuff of legends! Coupled with the infamous active volcano, Mt. 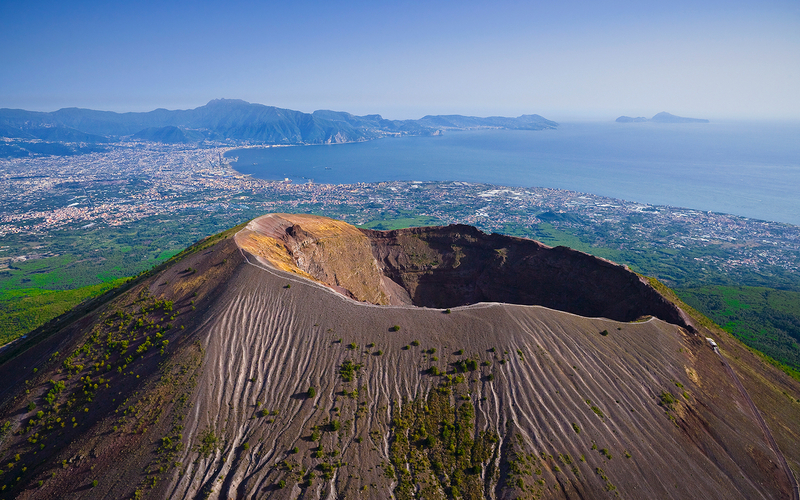 Vesuvius, the two sites are entrenched deep in myths and tales from over 2,000 years ago. In fact, the city is so fabled and old, dating to 79 AD that it was believed to be a myth. That is until 1748 when an archaeological survey of the area revealed an entire city hidden near under the Earth. The volcano did in fact erupt and cover the city and its inhabitants in ash, remarkably preserving the remains in perfect condition. Walking through the streets of Pompeii is like venturing into history. It’s nothing short of fascinating, eye-opening and exciting. A site which attracts nearly 2.5 million visitors annually, Pompeii is just half the tour. The other half is Mt. Vesuvius. An active volcano sitting amid lush green forests, the Italian landscape is a joy to behold. An expert volcanologist will accompany you to the top and explain the trends and facts behind this destructive act of nature while answering any question you might have. All-in-all, immerse yourself in an experience which combines breathtaking sightseeing ruins, surreal volcanic landscapes and a day out of the city. Relaxing and enjoyable, this is the break you need. Get picked up by your tour guide from the doorstep of your hotel in central Naples and make your way to Pompeii on the luxury A/C GT coach. Half-an-hour away from Naples, Pompeii is a landmark from history and was infamously covered in ash around 2,000 years ago. Upon arrival at Pompeii, your tour guide will purchase your entry tickets for you and you can explore the city at your pace. See the remnants of the city as you look through the windows of the past and try to imagine the city in its past. It’s not hard. The ruins are preserved in a near-perfect state thanks to the volcanic ash. 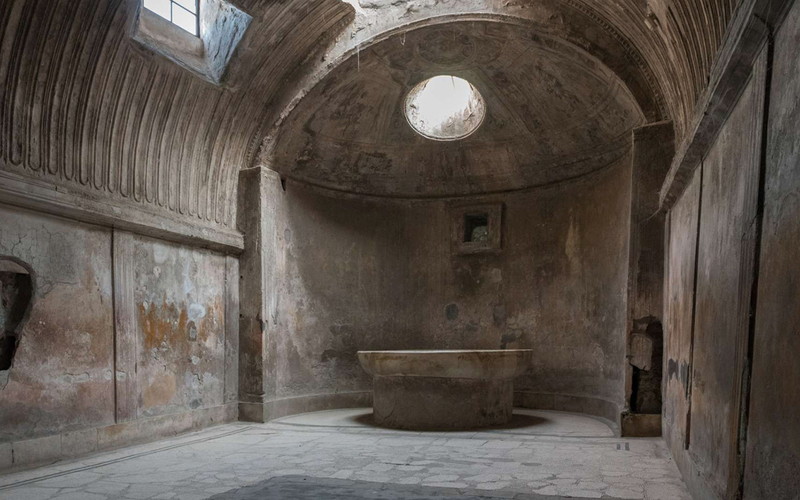 You can also book a guided tour of Pompeii with an archaeological guide when you’re in Pompeii. Your tour guide will help you out with it. After Pompeii, it’s time to drive through the national park towards the reason why Pompeii is so well preserved: Mt. Vesuvius. Pass through the pine forests and reach the base of Mt. Vesuvius, one of the only active volcanos near human population. Over here, you can go to the top of the volcano with an expert volcanologist who will tell you everything there is to know about the world-famous site. Hike to the top and take in breathtaking views of the Bay of Naples on one side, and volcanic lava on the other! A truly fascinating sight. Once you’re done, it’s time to head back to your hotel in Naples. Hotel pick-up and drop-off from centrally located hotels in Naples to Pompeii and back aboard an air-conditioned GT coach. Exclusive small group of fewer than 12 people allowing you make the most of the sightseeing affairs. Hike to the top of Mount Vesuvius with an expert volcanologist and learn about the secrets and history of this active volcano. 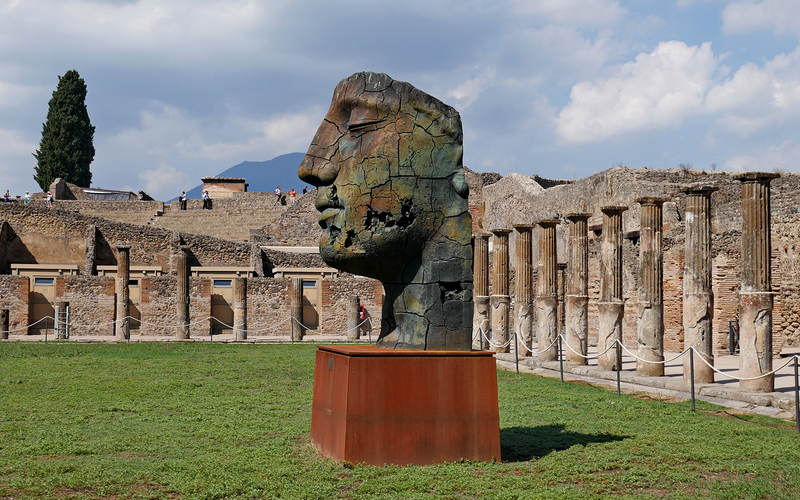 The guided tour of Pompeii ruins and Mt. Vesuvius are not included in the ticket price. There is an entrance fee of €15 and €12 respectively which you can pay for upon arrival. Your guide will assist you in the process and ensure you make the most of your time. Please note: there will be no breaks when visiting the sites at Pompeii. Please ensure that you carry a bottle of water should you need it as there are no beverages and food included in this tour aside from your mid day meal. The tour starts at 8:30 AM daily and goes on for a duration of 7 hours. Please ensure you are ready at least 15 minutes before your pick-up to ensure a hassle-free boarding process. You should be back in Naples by 4 PM. The pick-up will only be from hotels located in central Naples. Please enter the hotel details in the next step of the booking process. Please note that should you make a booking within 48 hours of the departure time of your tour, you must call the tour operator in order to confirm the pickup time and location. Thought it must be confirmed, your pick up time will be 30-45 minutes prior to the departure time of the tour itself. Please note, there is a quite a bit of walking on this tour and we recommend wearing comfortable walking shoes. Do not carry and large baggage/suitcases. During the low season, i.e, November to March, the live guide inside the ruins will be replaced with an audio guide if the group is less than 6 people. You will receive an email with your mobile voucher shortly. You don’t need to take a print of this. Just show the voucher on your mobile device along with a valid photo ID when your tour guide comes to pick you up. Please be ready at least 15 minutes prior to ensure a prompt and timely pick-up. The Pompeii and Mount Vesuvius Full Day Tour ticket is valid only for the date and time for which you’ve scheduled the booking.